When Sassoon met Graves for the first time in the company mess, the two officers soon discovered a shared love of literature. Sassoon offered his opinion on the poetry that Graves was preparing for publication; initially he disliked what he regarded as the gritty realism of Graves’s work in comparison with his own more traditional poetic imagery and language. In return, Graves introduced Sassoon to the poems of Charles Sorley, an officer who had been killed during the battle of Loos. Sorley’s verse, both unsentimental and critical of “jingoism”, would greatly influence both men. Sassoon and Graves shared a public school background and a love of sport (Graves was a boxer), were both homosexual and, perhaps most notably, had a joint aspiration to establish themselves as published poets. The beginning of Sassoon’s friendship with Graves was also marked by his introduction in 1915 to the true horrors of the First World War. Front-line service was significantly different from the warfare expected by many young men brought up on Victorian tales of dashing military heroes and masculine bravery and honour characterised by well-organised cavalry charges and gleaming uniforms. The reality of the Western Front for the average soldier could not have been more different. Purposeful activity with a clear objective was replaced by confusion and apparent chaos, cowering in muddy trenches for no obvious reason other than to avoid death, with death itself seldom heroic but rather random and deeply unpleasant. Awakened by this first taste of trench warfare and affected by the appalling conditions and constant danger, Sassoon’s poetry became much harder in both language and tone, with his earlier romantic verse forgotten in favour of the ugly reality he was now experiencing. The death of his brother Hamo at Gallipoli was another important factor in changing Sassoon’s outlook, although the death in 1916 of David Thomas, a fellow officer with whom Sassoon had developed a deep affection, had an enormous effect on him and changed both his and Graves’s attitude to the war. The futility and bitterness at the fighting felt by Sassoon was typical of those who had been exposed to the brutality of trench warfare. The anger and despair instilled in him by Thomas’s death led Sassoon to become increasingly unconcerned with personal welfare, earning him the nickname “Mad Jack” and, ultimately, the Military Cross for conspicuous gallantry. Before further heroics proved fatal, a shoulder wound led to Sassoon’s evacuation for convalescence in England in April 1917. Back in Blighty, Sassoon’s bitterness became even more obvious; he had fully expected to die in the trenches but had returned home a military hero –something he never expected or wanted. This “survivor’s guilt” was instrumental in influencing his decision on June 15, 1917, to make a formal statement in wilful defiance of military authority, questioning the Government’s motives for continuing the war and refusing to fight further. Graves, also in England serving as a military instructor, supported a medical board’s decision to classify Sassoon as suffering from “shell shock”. On July 23 he arrived at Craiglockhart War Hospital, near Edinburgh, far enough away from London to remove the troublesome poet from public attention. Much has been written of the famous meeting at Craiglockhart on August 18, 1917, of Sassoon and Wilfred Owen. An aspiring poet influenced by the work of Keats, Owen had been serving as a subaltern with the 2nd Manchester Regiment in France since December 1916, and had suffered several particularly bad instances of being bombarded while in flooded dugouts. In March 1917 he fell into a collapsed cellar and suffered concussion for some time before being rescued, while the following month he was blown off his feet by a shell explosion. Beginning to develop signs of nervous exhaustion, Owen was evacuated home for treatment at the beginning of May. Timidly visiting his hospital room, Owen asked Sassoon to autograph his copy of the recently published The Old Huntsman and Other Poems. Sassoon obliged and agreed to meet Owen again in order to look through his own draft poetry, which Sassoon felt showed promise. He advised Owen to “sweat your guts out” on further poems. What began as hero worship developed over the following weeks into a firm friendship, with Sassoon inspiring Owen who, in a letter to his mother, described the older poet as “the greatest friend I have”. Sassoon proved a profound influence on Owen’s poetry and offered amendments to many of his most famous works such as “Anthem for Doomed Youth”(a title suggested by Sassoon). The graphic language and direct questioning used by Sassoon was adopted by Owen, who arguably surpassed his mentor in both style and effect. After leaving Craiglockhart, both officers continued to correspond until Owen’s death in action seven days before the Armistice. The period of Sassoon’s convalescence in late 1917 saw him become something of a celebrity among the artistic crowd in London. However, the greatest critical admiration that year was reserved for Robert Nichols’s collection Ardours and Endurances. 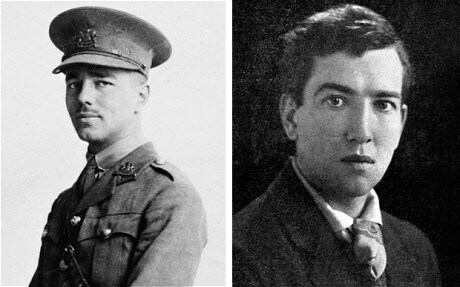 Sassoon met Nichols at a poetry reading on November 15, 1917, where they shared a mutual admiration for Sorley. Nichols’s service as an artillery officer at the front had been relatively brief before he was invalided out suffering from shell shock, which may have distanced him from the still-serving Sassoon, but they became firm friends. Both men had taken their wartime trauma and anger as inspiration for their poetry and by the end of the war, Sassoon, together with Graves, Nichols and other contemporaries, were regarded as the leading poets of the age. Peace meant the anger and satire which characterised Sassoon’s writing was diluted and he returned to the pre-war world in a series of biographies, starting with Memoirs of a Fox-Hunting Man in 1928. The events of the whole war could now be portrayed within a wider context, and the memoirs, novels and verse of Sassoon and others reflected an increased public antipathy to war and the growth of pacifist organisations. Appearing the same year was Undertones of War, a memoir written by a former infantry officer, Edmund Blunden. Blunden’s background was not dissimilar to that of Sassoon: an idyllic childhood in Kent before leaving school with a scholarship to Oxford in July 1915; commissioned into the Royal Sussex Regiment and arriving in France in early 1916, he too won the Military Cross. Robert Graves’s Goodbye To All That followed in 1929, although the self-confessed sensationalist nature of the memoir and looseness with historical truth led many of Graves’s contemporaries, notably Sassoon and Blunden, to decry it as an unfaithful depiction of events. 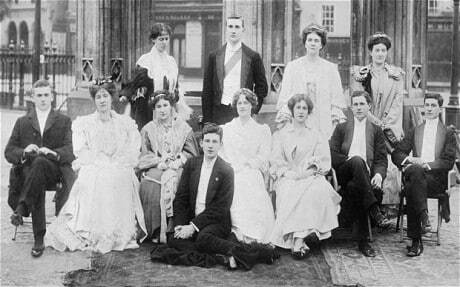 Testament of Youth (1933), written by the former VAD nurse Vera Brittain, was heavily influenced by these earlier memoirs and reflected upon the deaths of the author’s fiancé Roland Leighton, her brother and other close friends. Sassoon’s influence extended to helping promote the work of poets who had failed to survive the war and witness the wider appreciation of their verse. He would prove instrumental in the posthumous publication of Owen’s collected poetry in 1920, and that of Isaac Rosenberg in 1937. While Sassoon shared with Rosenberg the literary patron Eddie Marsh, they never met before Rosenberg’s death in action on April 1, 1918. Sassoon’s foreword to Rosenberg’s Collected Works revealed that he hoped to gain for him “the full recognition of his genius which has hitherto been delayed”. By the Sixties, both Rosenberg and Owen had emerged as among the most important of all the war poets. The era of the First World War had seen a distinctive mood change among writers. Inspired by first-hand experience of the trenches, poets such as Sassoon distinguished themselves from the “old guard” of Conan Doyle, Kipling and Hardy who had traditionally portrayed war in a lyrical, romantic way. The nature of war itself had changed dramatically and it was this gritty realism which Sassoon and his contemporaries embraced and which would directly influence future literature and poetry of the 20th century.